You are at:Home»BEAUTY AFFAIR»Industry Review Nigeria’s Dangerous Salons! Generally speaking, African women are endowed with a boundless desire to look beautiful. Their devotion to salon visits is almost sacred. This partly explains why Beauty business is a good business in Africa. Salon business, like Show business, is one of the best options for escaping poverty in the African continent – huge patronage all year round, quick to start, mostly cash, not to mention the joy of transforming the looks of humans, often for the better. For a business that is so lucrative and so admired and, with so many talented practitioners, why is the salon industry in Nigeria in such a sorry state? Less than 10% of our salons are of acceptable standard and, majority of the salons never aspire to rise above average; with a motto which says: “I -Just-want-to-survive”. 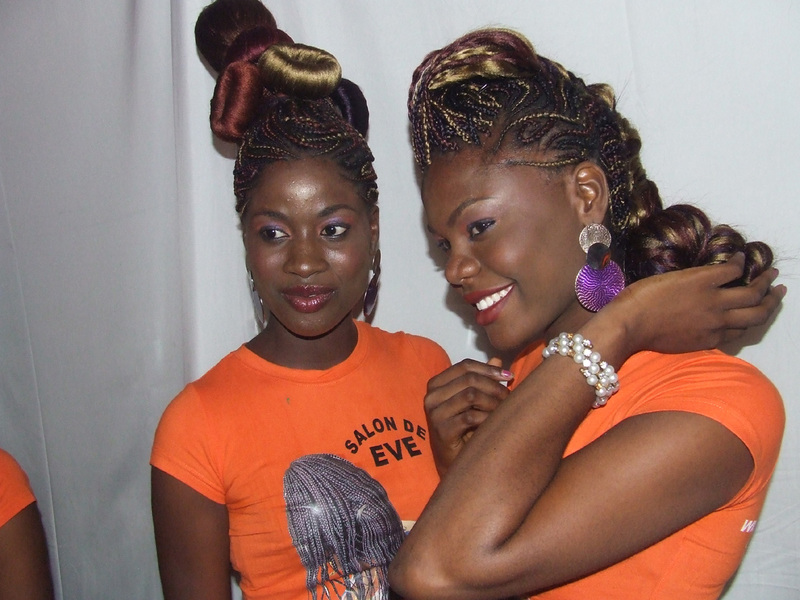 How many salons in Nigeria are well branded? How many are good enough for franchising? How many have toilet facilities? How many have suitable water system? How many salons can boast of having disciplined, customer-sensitive workers or stylists? Who wants to patronize a salon that is filthy; with dirty hair all over the floor, and polluted with dangerously loud music that is played to suit the workers’ lifestyle? Stylists answering countless phone calls or talking (as well as spitting) over their clients, most of whom are unaware of the rudiments of personal hygiene or deodorant. The sanitary condition in some salons in Nigeria is barely one-step higher than what exists in an abandoned public toilet. It is by the grace of God that Nigeria has not (yet) experienced an out break of Salon Flu. It is a documented claim that African women spend more money on their hair than they do on health, food and education. For most women, the thought of going to salon in Nigeria is more distressing than the thought of going to see a Dentist for tooth extraction without anesthesia. Unknown to most salon owners, some Stylists willfully steal their client’s original hair-goods or exchanged them with fakes, in the process of attending to the clients. Our women are tired of being made to “bribe” Stylists, especially in the big salons, to enable them “earn” their rights of first come, first serve. Just as they say, Hair is the crown glory of a woman. Nevertheless, another adage says: health is wealth. As we consider what to wear and how to look best, it is equally important to decide and choose the best place to go for our beauty needs. You are more likely to contact infectious disease in salons than in low-level restaurants; considering their reckless ways of handling needles, hot salon equipment, dirty towels, poor running water, and unkempt washing bowls. Often, cases of injuries or disasters are never reported or recorded, even at a time of Swine flu pandemic. Due respect to the well-managed, clean, reputable salons in Nigeria. Of course, there are salons patronized by discerning Nigerians and expatriates. I am yet to hear a story of a super rich who traveled out of the country for the sole purpose of having a haircut or styling her hair. Who can ignore the fact that there are some respected salons whose owners travel abroad regularly to attend salon-related seminars, at their own expense, without any form of assistance in terms of sponsorship. Knowledge, talents, and commitment aside, there are some salons and Beauty schools in Nigeria that are equal to what you would find in some of the Beauty capitals of the world. Yet, the industry is suffering from acute shortage of good salons. The good salons are too few and too far apart to have a significant impact on the honour’s roll of quality salons. We need more high quality salons. 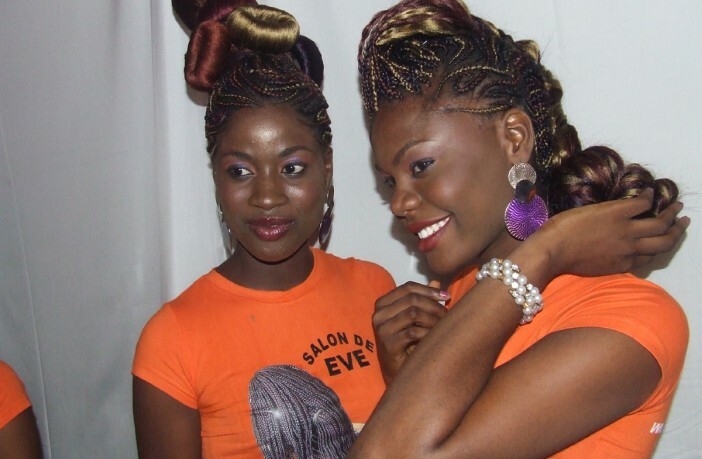 Most of the ingredients needed for salons to become great are present in Nigeria. We even dare to believe that, like the Vidal Sasson of the world, Nigerian salons can achieve the status of companies that are listed on the Stock Exchange market. The government has a roll to play, by assisting the well-established Hair and Beauty Schools, and the industry Associations, in an effort to sanitize the industry. (Another subject for future discussion). How can something that is so good taste so poorly? Are we talking about the Salon in the same country that gave the world Agbani Darego with her unique and dashing hairstyle? If you think what operates in Lagos, Abuja and Port-Harcourt is bad, try the semi-rural areas. Imagine this scenario. It’s 2PM. A pregnant woman is sitting inside a 20ft container that’s placed under a bridge. That container is madam Bukky’s idea of a salon called All Seasons Unisex Salon (address withheld). Outside temperature is 80OF the fan is off because it needs repairs. Her hair is inside a dryer. Loud music blasting ; the stylist, Bukky, is standing next to her. She is on the phone arguing with her ex-boy friend over his decision to repossess the 14” b/w TV set that’s inside the “Salon”. Bukky is spotting under-arm hair that is 2 inches long, and she is yet to take her bath. This is a tip of what some women go through regularly in some of our salons. Talk to an average salon owner and you are bound to hear what she believes is a list of plausible excuses. No light from PHCN. Rent is too high. Good Stylists are hard to retain. No funds to buy modern equipment. Can’t afford an extra room for conveniences or would rather use that extra space for hairdressing. African Hair & Beauty magazine has decided to provide solutions rather than be an armchair critic. August 2009 will usher in the first of our free Seminars. Titled: How to Run a Successful and Profitable Salon in Nigeria. Refreshments & Entertainment inclusive. Next Article Is Salon your Gossip Shop?